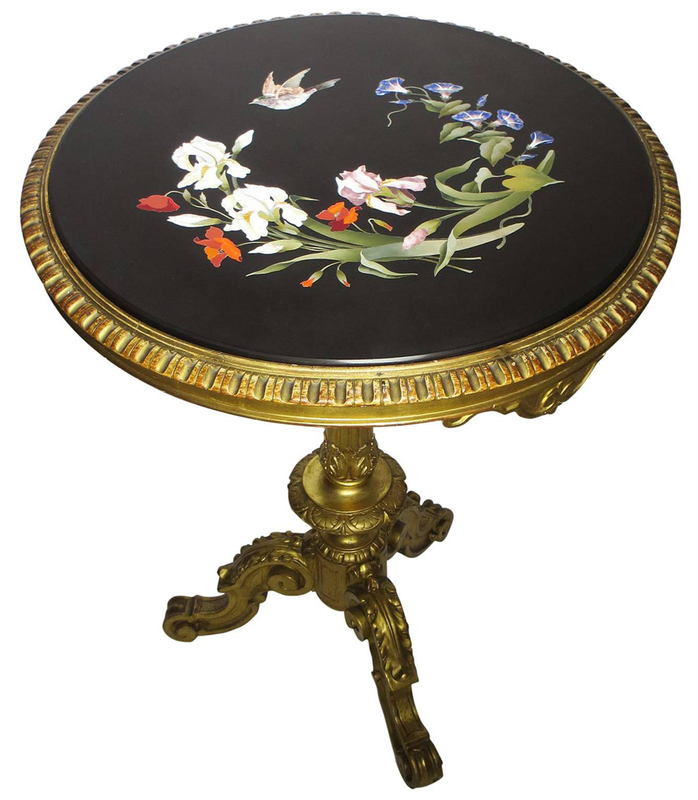 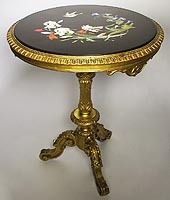 A Very Fine Italian 19th Century Florentine Pietra Dura Inlaid Table Raised on a Giltwood Carved Pedestal Stand. 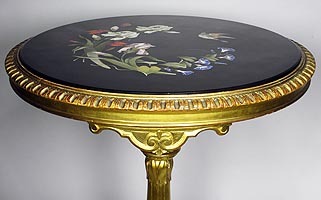 The circular pietra dura inlaid top depicting a bouquet of flowers including lilies, birds of paradise, roses and others, a hovering bird above them, with colorful marble inlaid pieces including lapis lazuli and color stones, all within a carved giltwood frame with apron design and raised on a tripod stand with carvings of scrolls and acanthus. 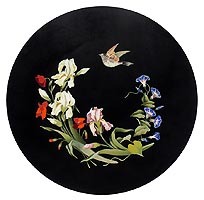 Circa: Florence, 1870.